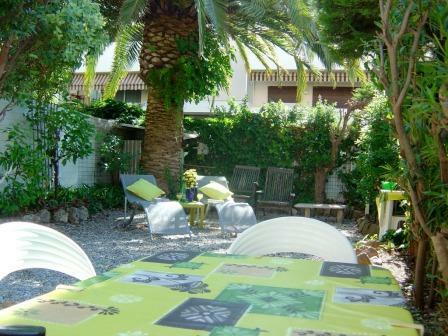 This Cannes studio rental accommodation is located in Le Suquet; the pretty old town and original fishing village that lies at the heart of Cannes on the French Riviera. 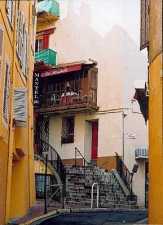 Narrow streets, window boxes, shutters, fountains, restaurants and small individual shops. 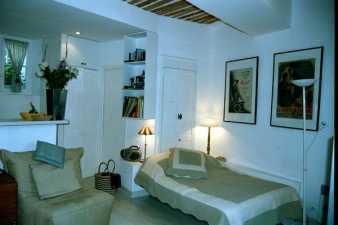 This apartment is presented in pristine condition, with air conditioning and ADSL WiFi Internet access. 2019: Good availability - please enquire.. 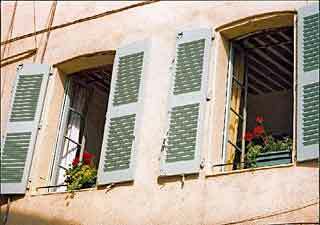 If your dates don't match there is no need to despair, just scroll down this page to find other villa and apartment rentals in Cannes or nearby in Antibes, Nice or St. Tropez on the French Riviera in the South of France. 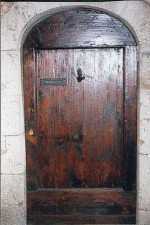 Step out into life from the old main door of 8 rue Forville and you are 5 minutes from everything you could wish for! Beaches, designer shops, harbour and marina. Stroll down past the impressive yachts to one of the many beaches. Choose your restaurant en route! Buy your wine from high class cellars or take it away in a plastic flagon - the choice is yours - but all on your doorstep. 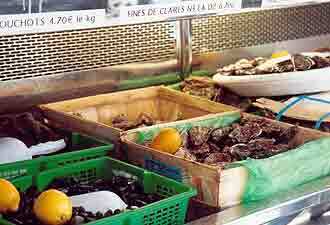 Delicatessens are busy preparing food to take away....collect your croissants, palmiers and pain au beurre et sucre from 'Paul's' for breakfast...and your coffee ground from the shop next door. 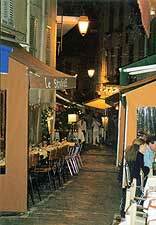 A few steps take you up to the narrow, intimate restaurant street in Le Suquet - rue St. Antoine - where white-clothed, candlelit tables line the street and delicious food appears. 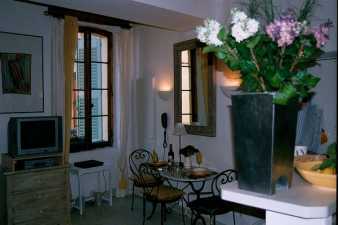 Studio 3, Le Suquet is a South facing studio apartment. 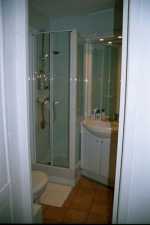 It has been newly refurbished to a very high standard and equipped with AIR CONDITIONING. 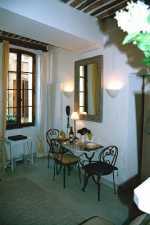 The living area looks out of traditional shuttered windows onto the narrow streets of the old town. The dining area seats three as does the lounge area on delux sofas beds. There is a wide-screen TV, video and hi-fi. The studio has high ceilings, beams, and a light and airy feel that makes it an ideal choice of accommodation for a holiday in this vibrant cosmopolitan area. 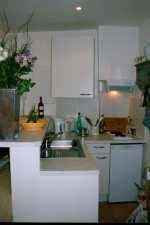 The 'American' style kitchen is equipped with two hot plates, microwave, washing machine and fridge. The shower room has a heated towel rail. Other equipment includes a telephone, hair drier, iron, ironing board, beach chairs and umbrella. 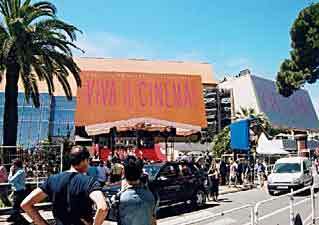 Studio 3 is five minutes away from the Palais de Festival in Cannes. Flights arrive at Nice Airport, Terminal 2. 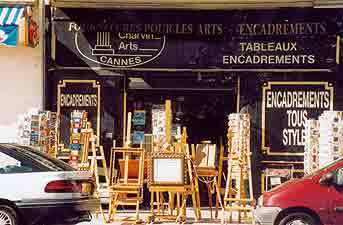 The excellent Express Bus to Cannes cost about €12 (no point in paying extra for a taxi) and takes about 30 minutes. Studio 3 is just a 5 minutes walk away from the terminus! 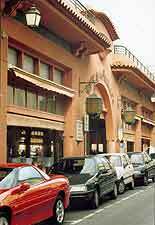 If you choose to hire a car from Nice airport (not really necessary, unless you plan explore the area), there is a very convenient underground car park next to the studio in Rue Forville. 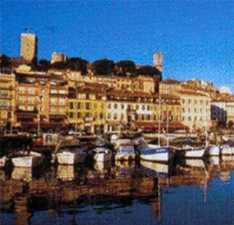 Take the train along the coast to Antibes, Nice, Villefranche, Monaco, Menton and into Italy or go by boat to St. Tropez. Play golf at the numerous courses around Cannes. 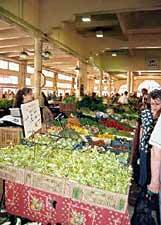 Go designer shopping on the Croisette and in the rue d'Antibes or visit the market in the rue Gambetta. 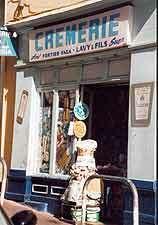 Metres of shops of all kinds wait to tempt you in the rue Meynardier. 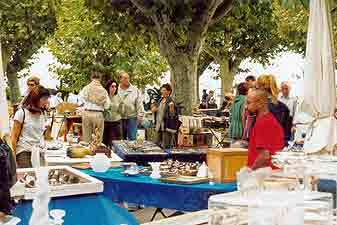 Visit the open air Saturday and Sunday craft, antique and art market near the sea front and watch the local men play bowls at the same time. The Arcades Cinema screens English-speaking films. 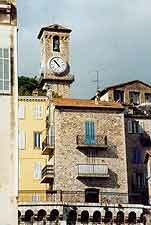 Go on a boat excursion - long or short - perhaps visit the Lerin Islands off the coast where the Man in the Iron Mask was imprisoned - you can even go to Corsica by boat. 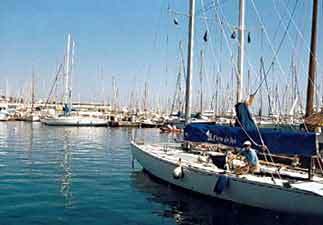 Learn to dive from a specialist boat in the old harbour, or go sea fishing. 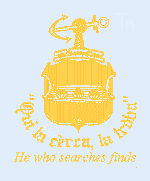 Bus and trains for inland excursions and to places along the coast all on your doorstep. Flat walking. 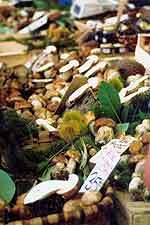 Follow one of the guided walks you will find at the Tourist Office or go on one of their organised excursions. 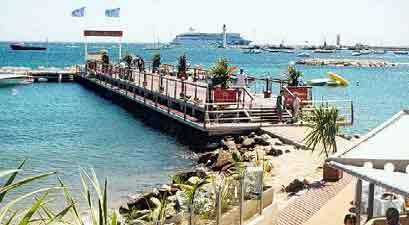 If walking doesn't appeal take Le Petit Train which offers two different tours of Cannes departing from in front of the Majestic Hotel. 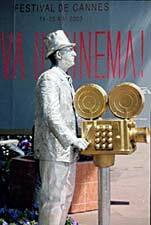 Or just stroll about people watching, eating, drinking, relaxing and catching the street entertainers. For an elegant evening, visit the piano bar at the Martinez Hotel and do have a look at the Carlton and the Majestic Hotels. Casinos and night clubs abound - try Palm Beach or Jimmy's. You could be forgiven for spending your days on one of the many fine beaches. 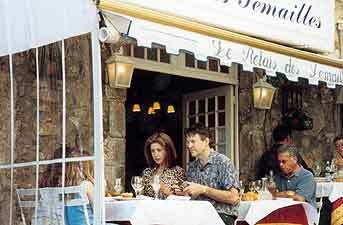 Afterwards, savour a drink on the famous promenade, then enjoy the stroll back into town. 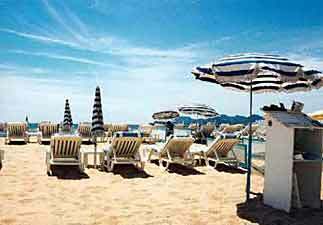 Relax in your haven at Studio 3 and look forward to another day on the Riviera. £225 - £420 all inclusive of rent, linen, laundry, final clean, electricity, broadband connection and free calls to landlines from table digital phone to Europe, USA and Canada. 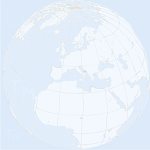 (Conference tariffs to be applied for separately.) 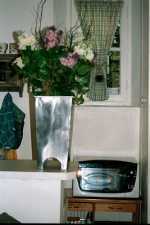 Kitchen and Bed-linen and towels are provided and the beds will be made up for your arrival.